FRIDAY, Nov. 9, 2018 -- Belonging to a community choir may be the best weapon against loneliness for seniors, a new study suggests. Researchers created community choirs for nearly 400 English- and Spanish-speaking participants at 12 senior centers in San Francisco. The choirs were led by professional choir directors and accompanists. The songs were culturally selected for each site, appropriate for older adults with varying singing abilities, and challenging enough to require growth and mastery over time. The 90-minute choir sessions included informal public performances. After six months, choir members reported significant improvements in loneliness levels and interest in life, but not much change in mental or physical abilities or in health care costs, according to the researchers. "We were a little surprised not to see improvements in cognitive and physical function, especially because the literature, although small, suggested there should be improvements," said study author Julene Johnson, associate dean for research at the University of California, San Francisco's School of Nursing. 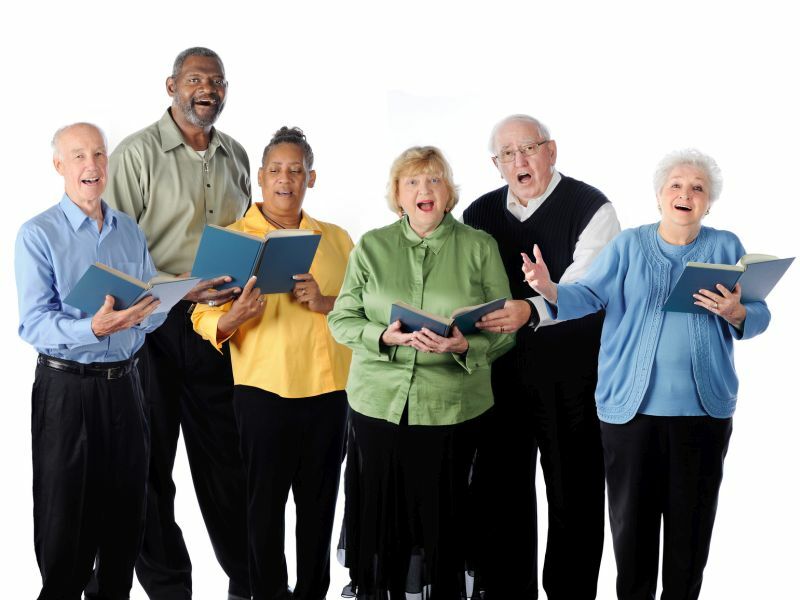 More research is needed to determine how choirs improve seniors' well-being and the potential long-term health effects, she added. "Our current health and social systems are not prepared to help support our rapidly increasing population of older adults," Johnson said in a university news release. "There's a high percentage who experience loneliness and social isolation, and depression also is relatively high," she said. "There's a need to develop novel approaches to help older adults stay engaged in the community and also stay connected." Previous studies have shown that social isolation and depression can worsen poor health. The study was published Nov. 9 in the Journal of Gerontology: Psychological Sciences. The U.S. National Institute of Mental Health has more on older adults and mental health.